A Beechcraft Bonanza airplane is on display at the Lincoln Airport. 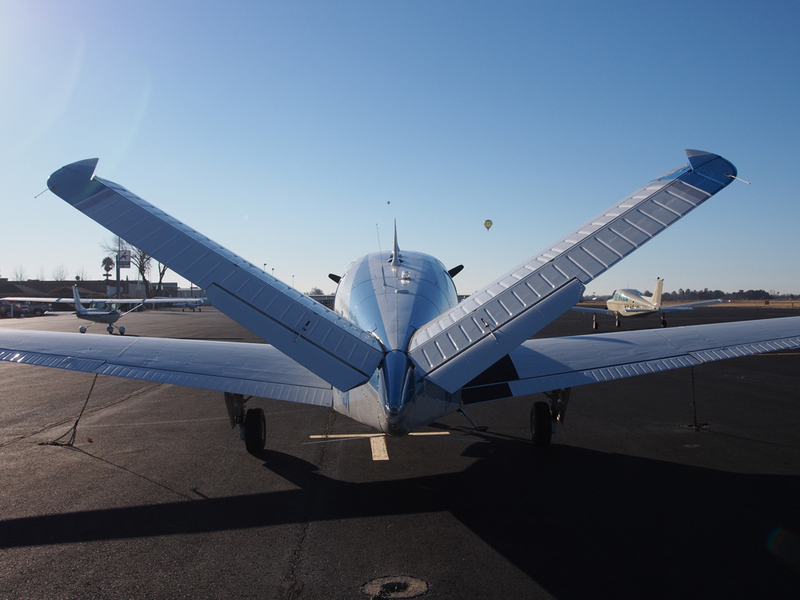 Once a month local residents can get up close and personal with airplanes at the Lincoln Regional Airport. 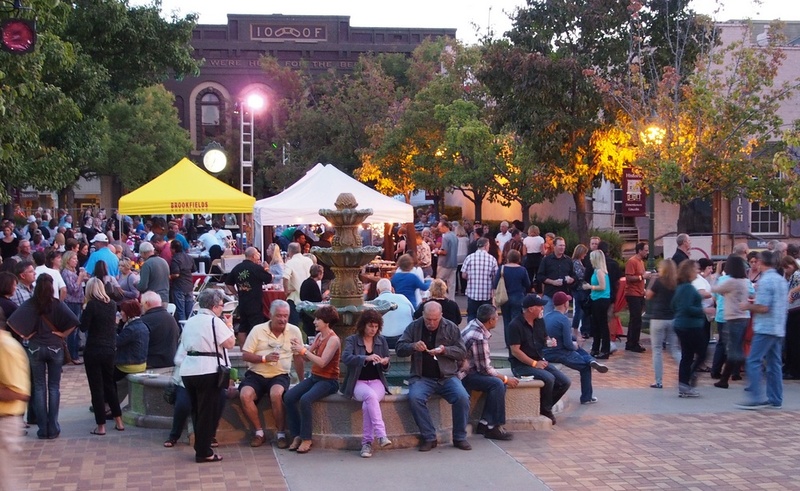 Beermann’s Plaza was filled with party-goers at the Lincoln Showcase on Saturday evening. The Lincoln Showcase is tagged “Lincoln’s Biggest and Best Party” and is sponsored by the Lincoln Chamber of Commerce. More than 800 guests attended the showcase on Saturday evening. The party was held in Beermann’s Plaza; the adjoining Fifth and F Streets were closed to traffic for the event as well. 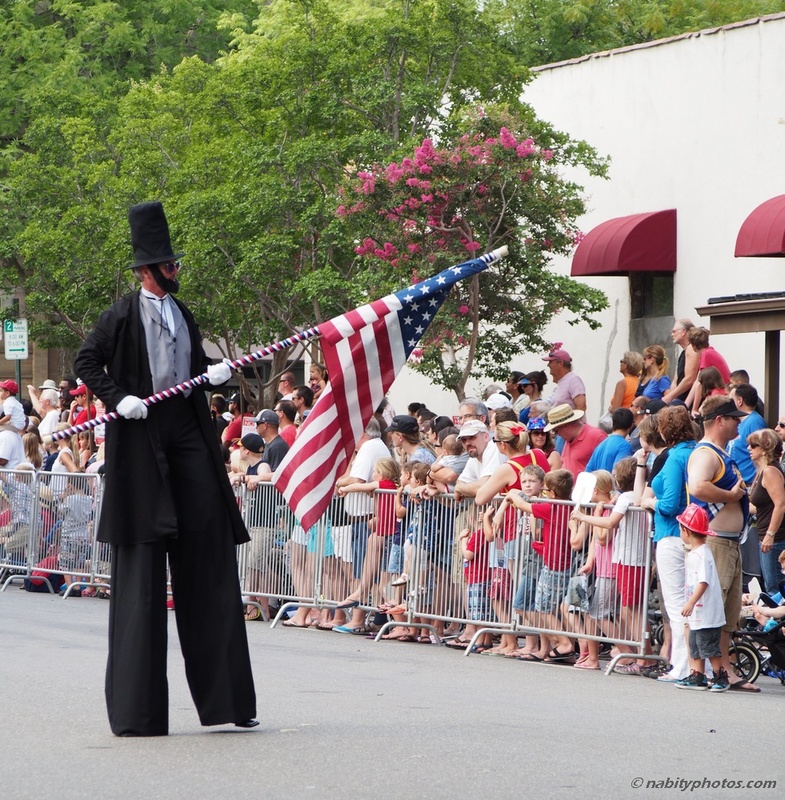 “Abraham Lincoln” tried to stay cool on a hot morning during the 4th of July parade. During the Fourth of July festivities, Lincoln, California was reminiscent of Norman Rockwell’s Americana. Independence Day rolled into Lincoln in the form of a large, traditional parade through the downtown area. By the start time of 9:00 a.m., several thousand people had lined the parade route along 5th, F and 6th Streets. Fresh strawberries were in plentiful supply at Thursday’s Farmers Market. The Historic Downtown Certified Farmers Market opened for its 2013 season on Thursday evening. Dozens of booths lined F Street and Beermann’s Plaza while locals browsed and bought fresh farm produce from local growers. The first Farmers Market of the year was well-attended and several of the booths were crowded throughout the evening with eager shoppers. The Lighthouse Counseling and Family Resource Center held its 2nd Annual Community Wellness Faire at McBean Park on Friday. The Second Annual Community Wellness Faire drew large crowds in spite of the hot forecast for Friday. The all-free, kid-friendly event was a welcomed invitation for anyone with children just out of school and getting restless. One of the many health and wellness messages of the day. This 1937 Ford Cabriolet owned by Craig Kirkpatrick was one of the 400 classic cars on display in downtown Lincoln. The Rods & Relics of Lincoln Hills Car Club hosted the Historic Downtown Lincoln Car Show on Saturday, June 1st. Show organizers said over 400 cars were on display along the streets of downtown Lincoln. The show was open to all American-made or American-powered vehicles 1972 and older. Owners from all over Northern California participated in the two-day event; the cars were on display the previous day at Thunder Valley Casino Resort. Cars and spectators fill 5th Street in downtown Lincoln. Here are some random photos captured in Lincoln during the month of April…enjoy! Awful Annie’s in the Jansen Feed Building. Tony Overbay runs his 24-hour run at Lincoln High School stadium. Still standing… 130 years later. A vintage car parks in front of the old Carnegie Library.